Oil and gas applications, including everything from vessels and tanks to pipeworks and offshore oil rigs, number among the most popular uses for our CUP stainless steel rivets though new uses are constantly being found as technology advances; they are perfect for use in air conditioning systems, tanks, boats and ship building, vehicles and... well you tell us! In both offshore and onshore applications, water ingress can be the cause of many types of corrosion which can be extremely damaging to the system, necessitating expensive repairs or replacements. The worse case is when water soaks through the insulation materials firstly causing their performance to reduce, then eventually possibly corroding the pipe. This is often referred to as corrosion under insulation or CUI, the single biggest costs to any oil and gas insulation system. After an extended period of design, engineering, manufacturing and testing, CUP sealed blind rivets are now available exclusively from BS Stainless to combat the problem. CUP stainless steel rivets are the first available on the market that are 100% waterproof when under up to one metre of water. 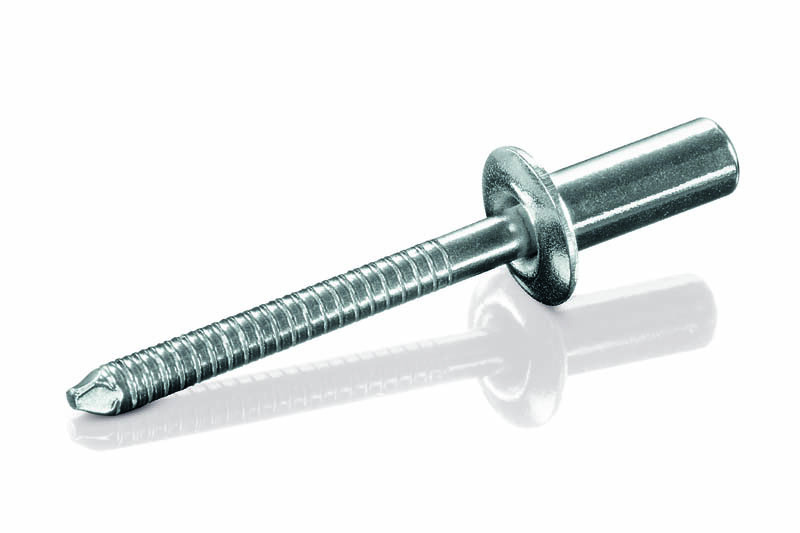 The body of each rivet is fabricated from Grade 316 stainless steel while the mandrel is made from Grade 318L duplex (UNS 31803) - this combination ensures exceptional resistance to corrosion in the marine environment, the addition of Duplex enables both a tight seal and any residue material from the mandrel will not corrode. Each rivet also incorporates a unique HNBR washer/­gasket. Washers or gaskets traditionally made from Neoprene, EPDM or NBT are overshadowed in quality by those integral to CUP stainless steel rivets, and are made from newly-developed HNBR. Traditional rivets, known as ‘blind’ or ‘pop’ rivets are used in great number in the gas and oil industries, particularly for metal jacketing and cladding for various pipelines and tanks. Due to these rivets not being 100% waterproof, as can be seen in our accompanying video, the development of CUP waterproof stainless steel rivets is set to revolutionise the oil and gas industry both on and offshore. BS Stainless welcome enquiries from potential new customers who could benefit from the use of waterproof stainless steel rivets. Check out the waterproof properties of the product in our video and please contact our technical team for more info.